When it comes to insulation, chances are your home may not have enough. Unless you’ve added extra insulation when building your home, or added insulation to the home you bought or renovated. More than likely, your home is under-insulated. Why is this? Think about the housing industry. Home builders install the minimum amount of insulation required by code. Why would they install more? The more they install, the more money each house costs to build. We know, from being in the insulation industry for years, that the amount required by code is not enough to keep your home comfortable and save you money on energy bills. Not only that, older homes probably don’t get checked before they are sold. According to the U.S. Department of Energy, 42% of a homeowner’s utility bill is spent on heating and cooling costs. That number goes up even further when a home is poorly insulated. Without proper insulation, your heating and cooling system work extra hard to produce hot or cold air, just for all of its effort to escape through the walls and attic. Proper insulation can cut those costs by an average of 20% If your home lacks the proper amount of insulation, or if your insulation is installed incorrectly, you can do severe damage to both your home and your bank account. Below are a few ways to identify if your home is suffering from being under-insulated. One sign of good insulation is having even temperatures throughout your home. If different rooms have different temperatures – say, you freeze in the kitchen but feel too warm in your living room – that’s a clear sign your house is under-insulated. Look at your home’s energy bills in the last few years to determine if there are huge increases. The blown-in insulation in the attics and walls may have settled, making the insulation less effective and possibly leading to areas that are not protected from cold temperatures. You may not notice extreme temperature shifts in your home if your heating or cooling units are working overtime, but you will notice your extreme energy bill. If wasted heat is escaping through your roof and walls, it’s time to replace your insulation. Do the touch test. The interior ceilings, walls and floors in your home should feel warm and dry. When drywall and paneling inside a home feels damp or cold, there is not enough insulation. Alternatively, when touching an exterior wall, it should feel cold because insulation is keeping warm air inside a home. Do you find that some rooms in your home are inexplicably colder or hotter than others no matter what you do? If those rooms are well ventilated, then the problem is probably poor insulation. These rooms are often above the garage or below the attic. That’s why it’s important to make sure all areas of your home are properly insulated. Heat and cool air can escape almost anywhere that doesn’t have insulation to stop its path. During the winter months, drafts in certain areas of a home are caused by cool air entering around window frames and doorways. By having extra insulation added to these areas, you and your family can avoid having to cope with chilly drafts. 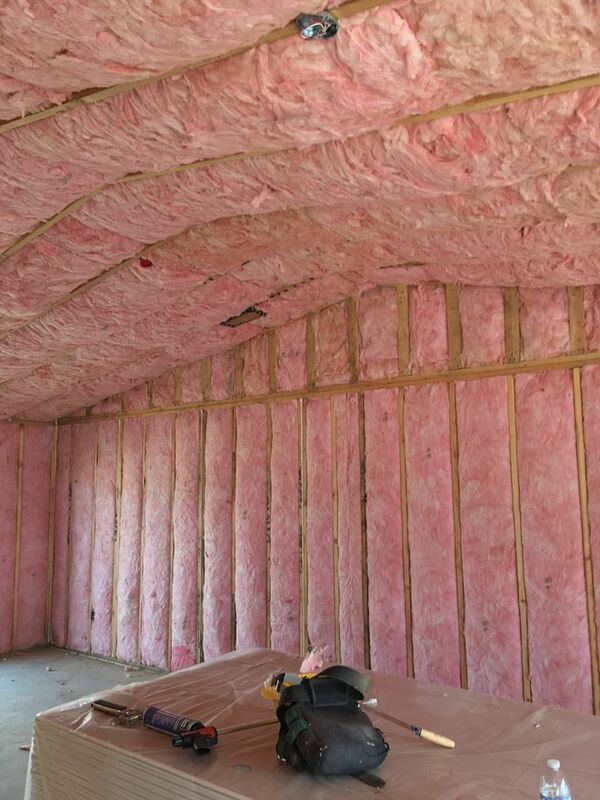 Adding insulation will not only make your home feel less drafty, it will also save you on energy bills. Spray foam insulation seals and insulates and is good for cracks and crevices. There is nothing worse than finding insects and rodents in your home. Critters can enter through tiny openings and holes around doorways and windows. Unfortunately, these openings are also how cold air enters and warm air escapes. By adding insulation, you can save on energy bills while protecting your home from vermin invasions. Just as poor insulation lets heat out of your home, it also tends to let water in. Water has a much easier time finding its way into a poorly-insulated home than a well-insulated one. If you’re experiencing a leaky attic, your insulation may be part of the problem. Leaks are a sign that you should get your insulation replaced as soon as possible! Water damage can cause many costly problems down the road, including mold issues, so give leaks prompt attention. Where does all the warm air go? Roughly 25% of a home’s heat seeps out through the attic and roof. A home can lose 35% of its heat through the walls. Windows are a source of 25% of a home’s heat loss. Remember, any gaps in insulation will allow heat to escape. Insulation has a three times greater impact on the average home’s energy and comfort than windows or doors. Get a FREE energy audit with A+ Insulation.